Create elegant and modern itineraries that capture your client’s inspiration. With a robust and intuitive back-end trip building module, creating and revising itineraries is easy, efficient and intuitive. Managing your pipeline is essential to timely response and effective correspondence with every one of your leads. Oasis’ CRM module is a robust sales flow automation tool that allows you to stay on top of current bookings as well as engaging your sales pipeline. From initial contact to confirming bookings, the dashboard and backend platform is structured to make you more effective. Within the platform, you can easily manage all of your trip costs, payables, and receivables on individual booking level, as well as across your company as a whole. 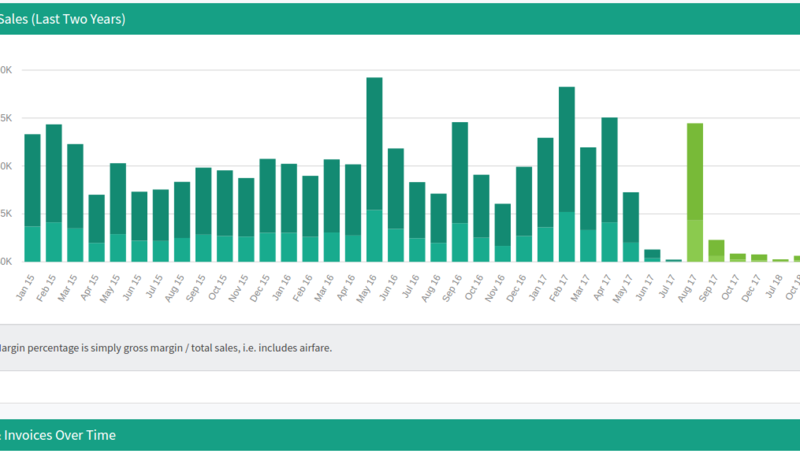 Additionally, our reporting module allows you to quickly see the financial picture from various perspectives, including sales forecast, cash flow, historical sales numbers, etc. 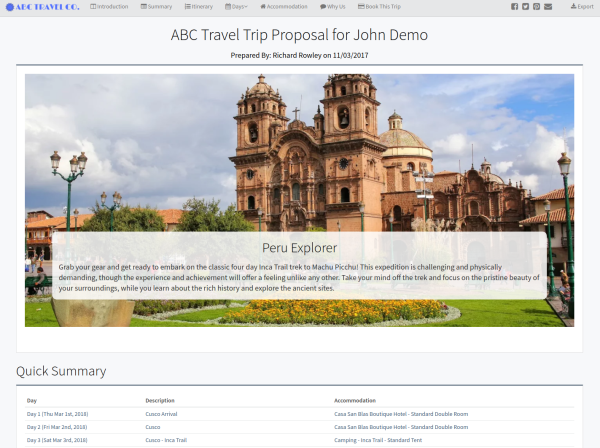 Inspire your clients by sending them beautiful content rich trip itineraries and proposal that they can access directly from a web browser. Pull content from your library of images, past trips, accommodation, etc. Also, no need to edit, save, attach, email word documents. You can make changes to a clients proposal in real-time. Manage your clients and leads as they flow through your sales process. This highly configurable module allows you to set up the platform to match your sales process and tracking protocols. Keep track of your bookings financials, bills, invoices, etc. View these numbers not just on the booking level, but also by user, company-wide, over various time frames, etc, by using the robust reporting module. 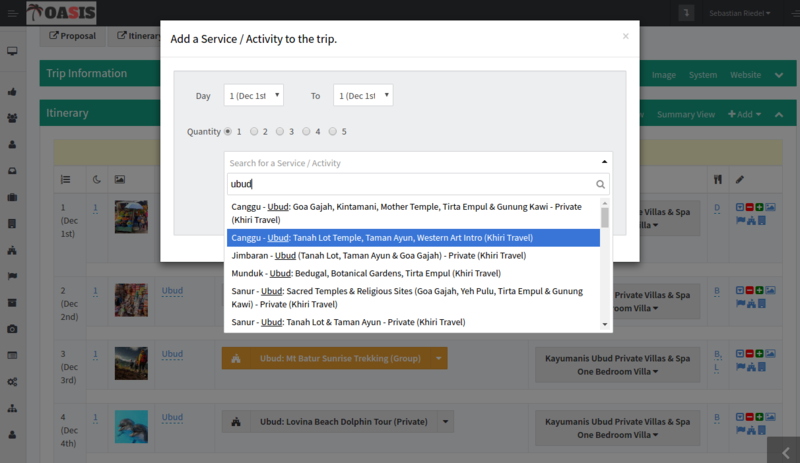 Oasis’s wide array of customizability allows you to configure all aspects, from the back end sales flow to personalizing each itinerary to include your brand and message. Dynamic functionality allows for you to change many aspects and fine-tune your process allowing to constantly make your process more efficient. Trip building process is streamlined with our user-friendly backend system. The entire platform is built on the latest web based technologies for ease and speed of use. 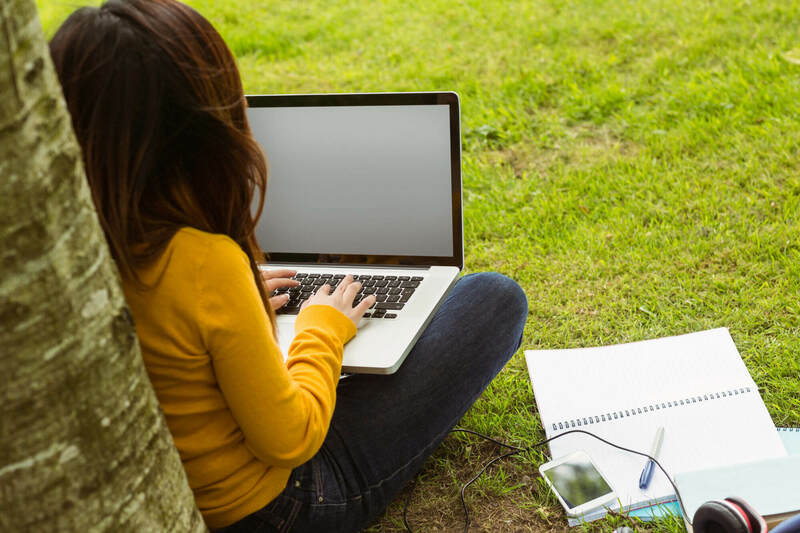 All your data is stored in the cloud so you can access anywhere. Keep your team as efficient as possible using this cloud based solution. Remote team? No problem, login anywhere. Upgrading? No hassles on your end, new versions, updates, new features are all loaded without you knowing.